From conditioning your hair to brightening your complexion, micellar water isn't just for removing makeup anymore. Micellar water has been around forever — and there are plenty of reasons why people love it so much. For starters, it's pretty much the easiest beauty product on the planet to use. You pour some on a cotton pad and wipe it across your face to remove makeup and cleanse skin. 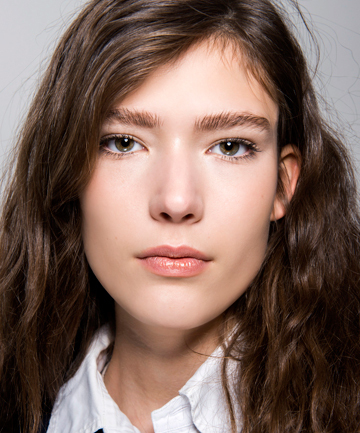 Basically, micellar water is a no-brainer. Traditional soaps and face washes contain harsh detergents and a high pH, which disrupts the skin's natural functions and lipid barrier, leading to dryness, says beauty chemist David Pollock. Micellar water, however, gently cleanses skin without stripping it of moisture, thanks to tiny micelles (cleansing molecules) that attract dirt and impurities like a magnet. Recently, micellar has moved beyond just basic makeup removal and become a full-on beauty trend. Brands are utilizing the technology in everything from clarifying shampoos to pollution-protecting bar soaps to one-step gel facial cleansers, upgrading your favorite products in a major way. And we have to say, we're totally here for it. We've rounded up nine new takes on micellar that you're going to love.